The Crew of 381/A (PM 757). 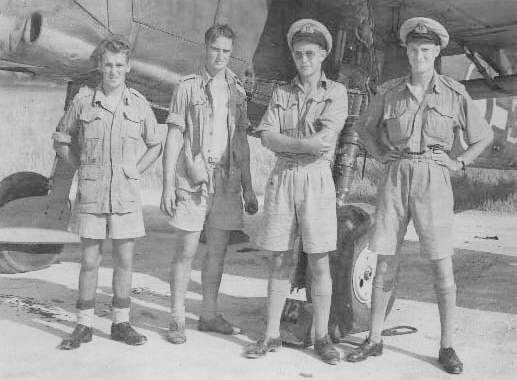 (left to right) Observer Bill Williams, Pilot John Dickson, Fitter Harry Orton, Electrician Trevor Murphy and P.O. Rigger 'Blondie' Henshaw with 'Ming' at Kai-Tak airfield in November 1945. Barracuda 380/A (MX 653) with crew at Kai-Tak in 1945. (seated) F. Wilkins (Fitter). 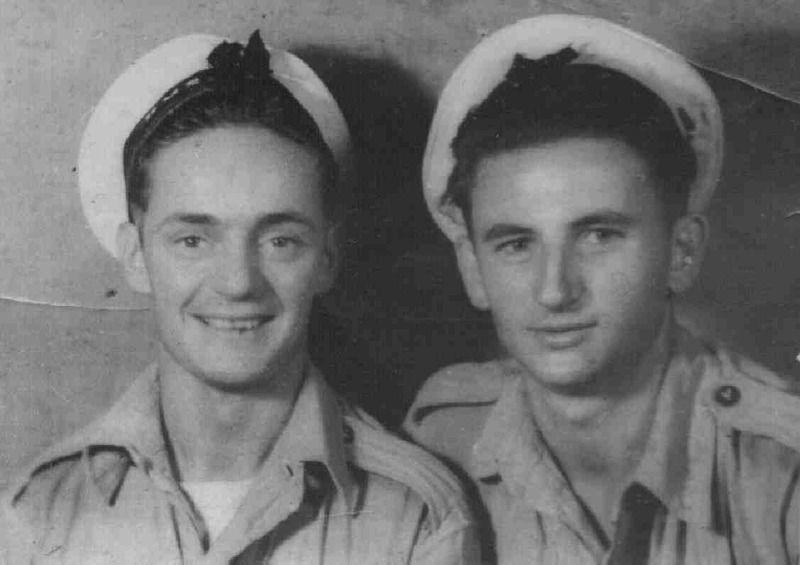 (left to right) E. Prosser (Rigger), Trevor Murphy (Electrician), S/L. 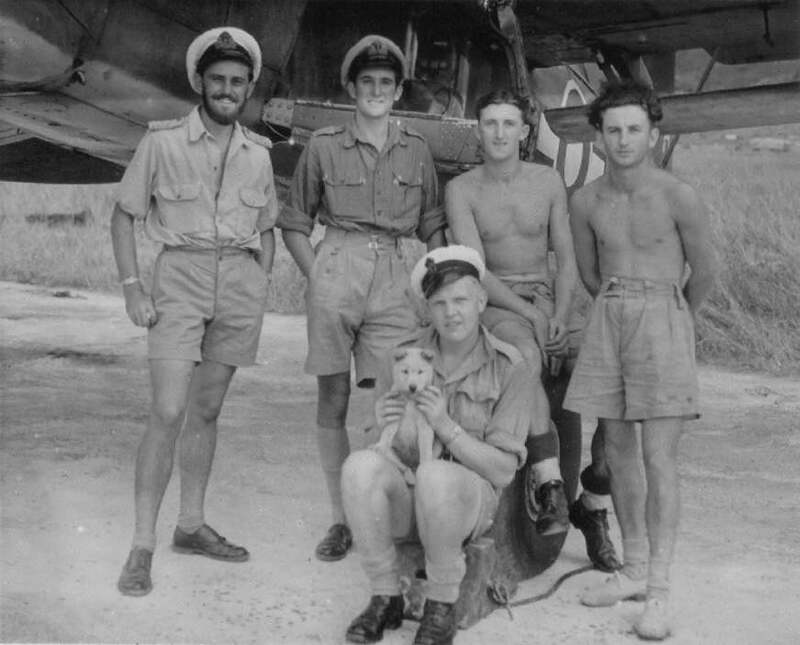 D. 'Stormy' Fairweather (Pilot) and Burt Churchill (TAG). 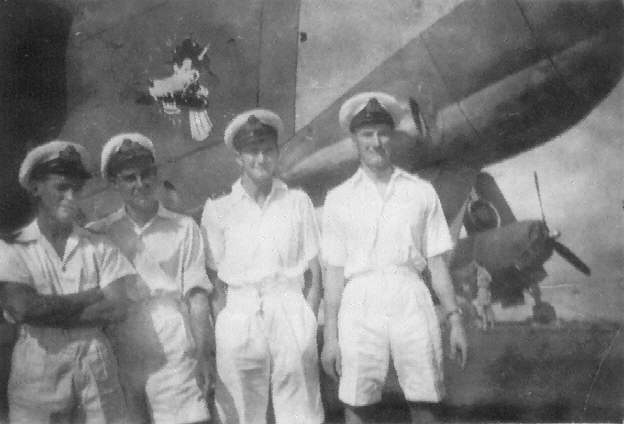 (L to R) Bob Exley (Ships Officer) with Pilot Pete Stansfield, Observer Bob Roseveare and 'Shiner' Wright in front of Reg Parton's Barracuda 'Goofie' on HMS. Vengeance in Hong Kong, 1945. 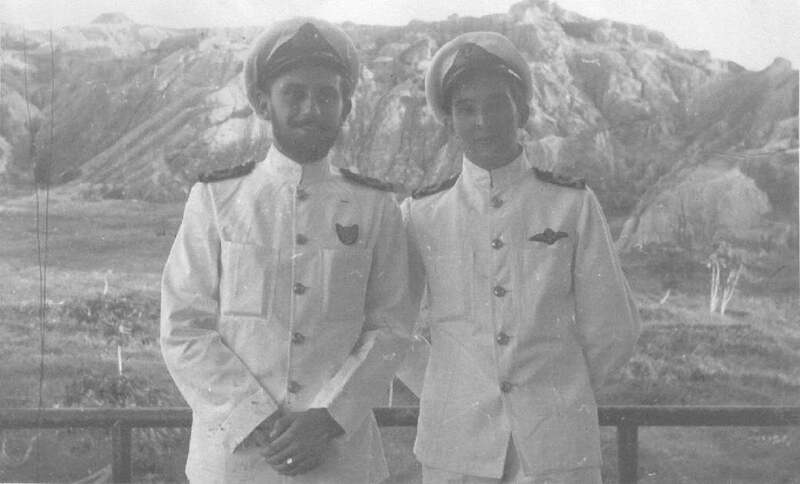 Observer Bill Williams and Pilot John Dickson at Kowloon, Hong Kong in 1945. Les ? 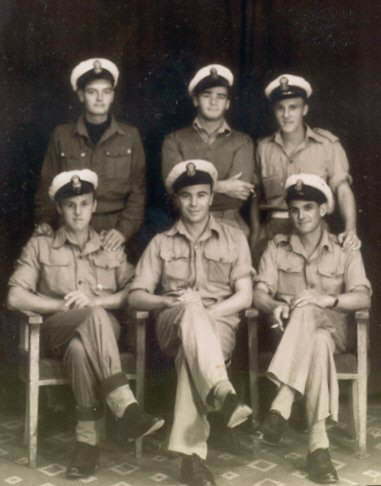 and Trevor Murphy (Electrician) in Hong Kong on 5th November 1945. 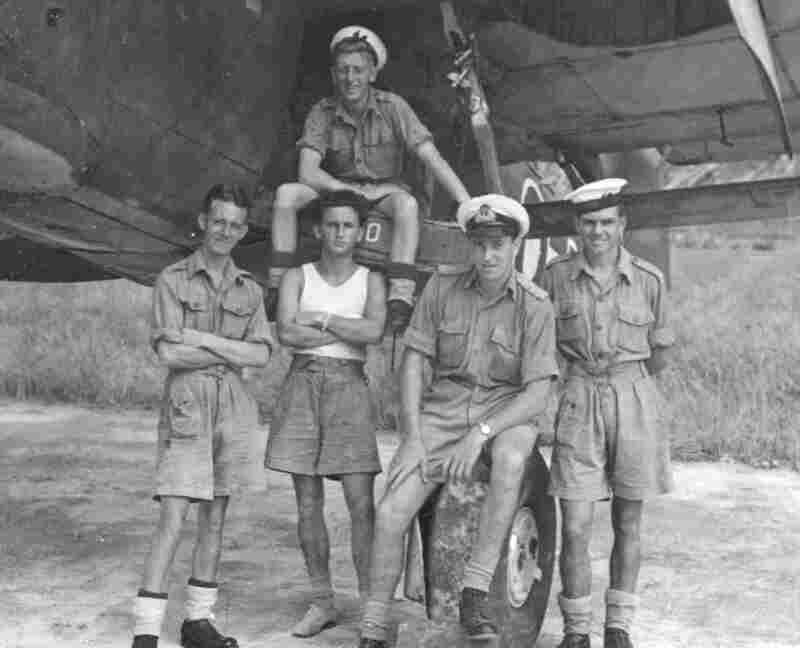 Petty Officer's of 812 Squadron. Back Row (l to r) Wynn, Kent, Rouse. Front Row (l to r) Preston, ?, Britain.